Our 1st Offer >> 500 FOLLOWERS to your PROFILE (Instant Start If Online). Can Split per profile 100. Our 2nd Offer >> 1,000 ( 1000 Likes Bonus for regular Clients) LIKES to your PICTURES (Instant Start If Online). Can Split Per Pic. 100. Our 3rd Offer >> 1,000 VIEWS to your VIDEOS (Instant Start If Online). 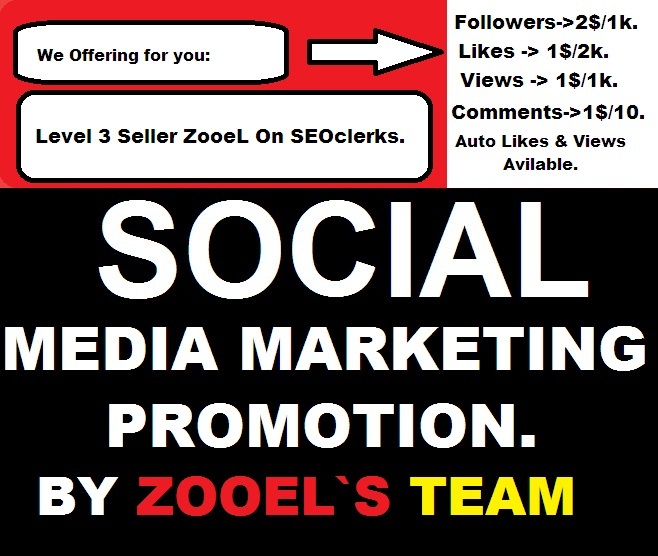 RUN A SOCIAL MEDIA MARKETING PROMOTION is ranked 5 out of 5. Based on 334 user reviews.